Believe it or not, SEO is not a rocket science. In most cases, it comes down to the most obvious common sense things, like easy-to-understand website structure, well-written relevant copy, carefully picked descriptive page titles, etc. Some more complicated problems may occur (those that require professional help) from time to time, but in most cases, you can identify and fix things with tools. It’s the most widespread problem, for both big and small websites. The Internet never stops growing: Many pages go down in redesigns, website moving or selling, outdated or sold-out product page, etc. There are plenty of reasons why a page may cease to exist. An estimated 37,000 websites are hacked every day which results in hundreds of thousands of non-existent pages and broken redirects. Major hosting companies have terrible downtime statistics which means websites go down every minute. While broken links have been such a huge problem, it’s also usually overlooked. No matter how picky you are about selecting who you link to or how well you test each of your links once you publish your content, there’s still a good chance your older pages have plenty of broken links. Not only are these broken links really hurting your SEO (wasting your link power), they also provide a huge hurdle for your site usability. In fact, usability is the biggest concern here. There’s nothing more frustrating that a link that takes a user nowhere. In most cases, this results in a lost conversion. Netpeak Spider is one of the fastest, most flexible and in-depth crawlers out there helping you go through your entire website and find those links to fix. It will alert you of broken links and warn you of any redirects for you to check if that link is still taking users where it’s supposed to. The reason I prefer the tool is that it lets you easily set up how deep you want it to crawl and which sections you want to spider. You can set up custom rules for the spider to only crawl a specific directory of the site. It will also calculate your website internal “PageRank” allowing you to see if each important page of your website gets enough attention. Search engines still heavily depend on keywords. Yes, they got smarter and you cannot achieve higher rankings by simply using your keywords more often in your copy. But you can increase your traffic by expanding the list of those keywords you use and then create in-depth content using the keywords in prominent places. The lack of relevant keywords in your site copy and title tags is often the actual problem you are getting less search referral traffic than your competitors. Sometimes website owners are too focused on 2-3 sets of keywords and don’t care to optimize for any other phrases. And some website owners write content around the keywords no one searches for. Discovering more promising keywords that could drive people from search results to your website is most often the key to increasing the site traffic. Looking what your competitors are ranking for is a good way to discover the possible core terms to expand upon. 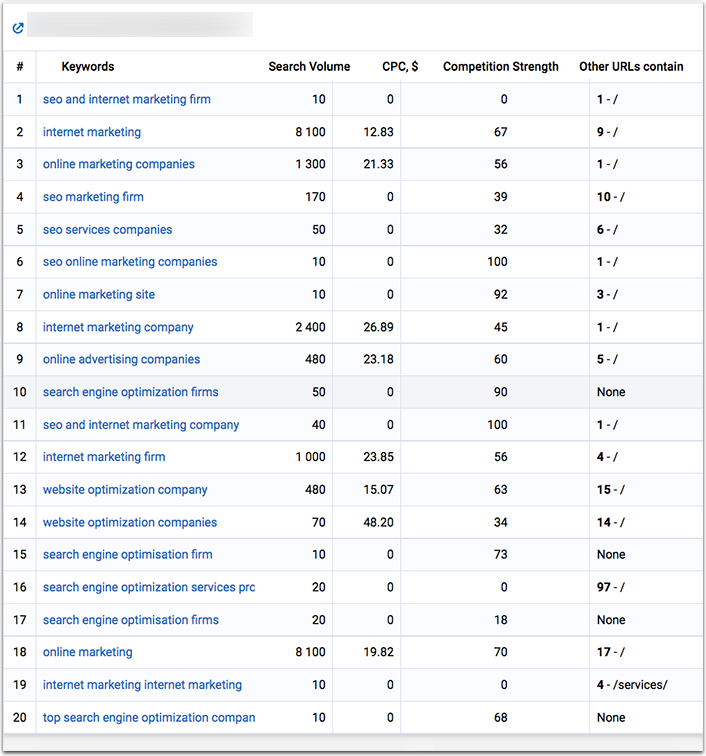 Serpstat has a cool feature called “Missing keywords” allowing you to search which keywords your competitors rank for while your website is nowhere to be found. Enter the URL of one of your already ranking pages (for example, the home page) and click through to “Missing keywords”. The tool will automatically identify your competitors and find the keywords they rank and even suggest one of your site pages which could rank for that term (based on your page title). You’ll also see the search volume and competition right away. We had great success using this tool to help Jackson Tree Service a St Louis based tree service close the gap between competitors. Another widespread issue that has got lots of attention after Google announced site speed a ranking factor. Yet, like with broken links, it’s not so much about rankings, as it’s about lost users and conversions that I’d give more attention to the issue. The Internet is getting faster and web surfers are getting used to the overwhelming amount of information. They skim through the pages, they seldom have time to wait for slow pages to load and they quickly move on to the next thing once they are half-done with the current page. It is crucial to ensure your pages are fast enough to hold their attention. 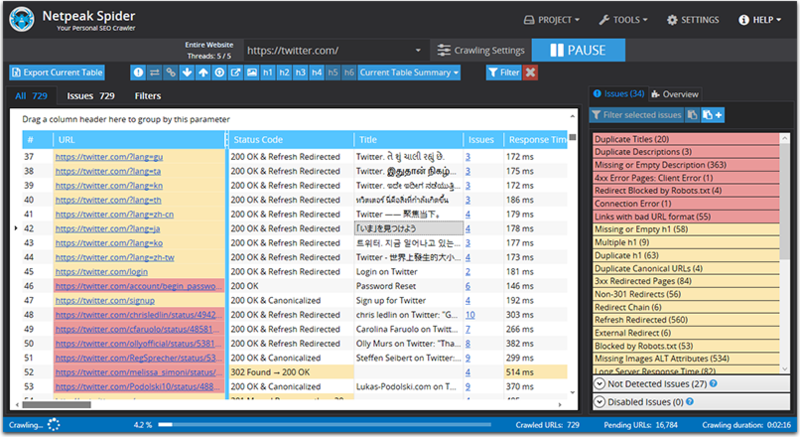 There are lots of load time checkers out there. I’ve been using this one for ages and I’ve never had any reason to look for anything else. 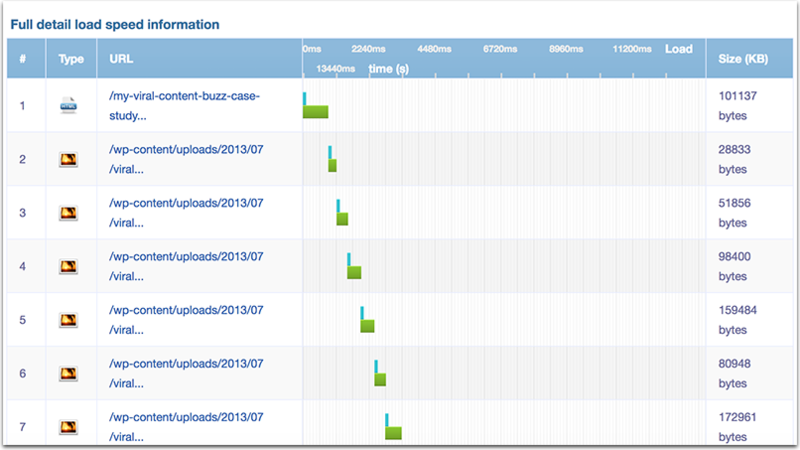 It clearly shows which parts of your web page slow it down, so you can optimize what needs to be optimized. If you are on WordPress, there are also a few plugins you may want to install for faster-loading images. Did you know that there are more Internet users than desktop Internet users these days? 52.7 percent of global Internet users access the Internet via mobile. In the United States, the number is even more astounding: 75.1 percent of U.S. Internet users access the Internet via mobile. How come so few businesses still care about their website mobile user experience? The problem is, switching to a mobile-friendly website is not an easy change for most (especially older and bigger) websites. Yet, it’s something that must be done. There’s no way around that. Google’s Mobile Friendliness Test tool is a good start. It will let you preview your page on a mobile device and signal of any problem you may have. 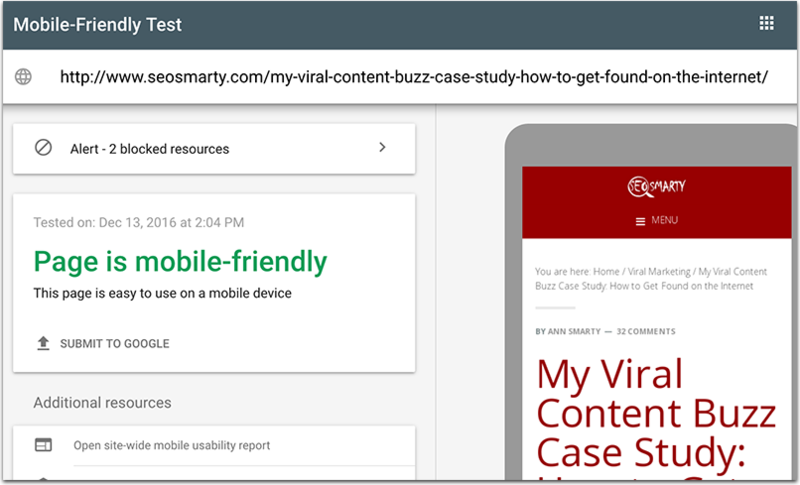 You still need to invest in some mobile user experience testing even after your site passes Google’s test, though. The debate whether a high bounce rate affects your rankings or not is as old as SEO. 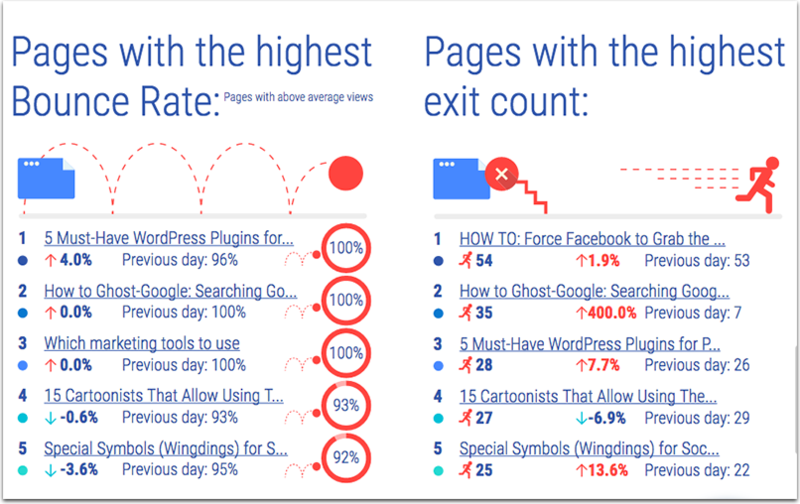 The smartest educated theory is that it’s probably not the bounce rate per se that affects rankings but rather the dwell time (“how long it takes a user to go back to search results after they click through to yours”). And it’s not an isolated metric but the one taken in comparison with other pages ranking next to that one. 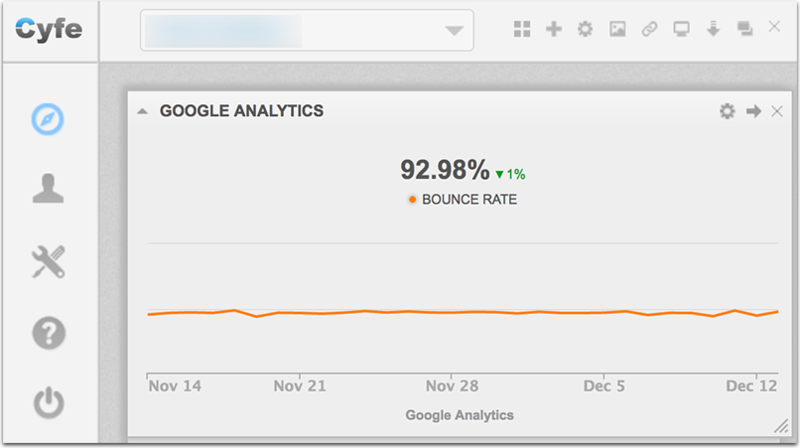 The most obvious way to check and compare your site bounce rate is Google Analytics of course. A more productive way to keep an eye on your bounce rate is an app called Whatagraph. It checks your Google Analytics daily and emails you a helpful report containing your site pages with the highest bounce rate. Just make sure to check those pages in the email report and see what sorts of usability issues may be driving people away: Is the content outdated? Are there broken links or images? How can you tweak the page for it to grab and hold users’ attention better? Download this cheat sheet as PDF here. What other SEO issues do you see often? Let’s find a tool for those in the comments! Ann Smarty is Brand and Community Manager at Internet Marketing Ninjas, founder of MyBlogU.com and manager at Viral Content Bee. Like this month’s theme? We are sharing even more about how small businesses can grow with SEO over at www.SEOforGrowth.com.